If you want to see the country this summer, the best way to get out on an adventure is to pack up the car and go on a camping road trip. The thrill of hitting the open road and heading where the wind blows is pretty appealing. A spontaneous road trip can offer some of the best experiences and memories that you’ll ever have, but a road trip with no plans can also be a disaster. With a little planning and research before you go, however, you'll be able to maximize your time and see some great sights. Here's your ultimate guide to camping out on the road. 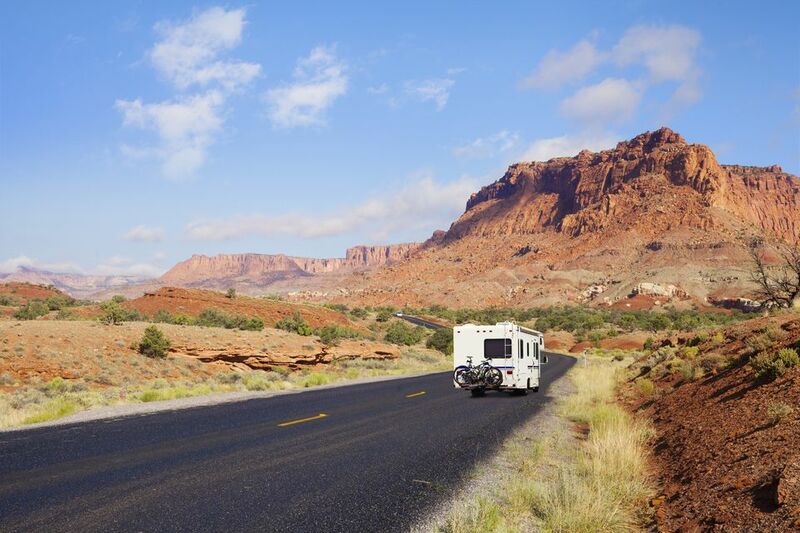 The first thing to consider before you set out on a camping road trip is the time of year of your vacation. Summer months and holiday weekends can be quite busy on the highways and popular campgrounds book-up months in advance. A spontaneous road trip might sound great, but during peak travel times a trip with no plans can be disastrous. The most fun part of planning a camping road trip is deciding where to go. You don't have to have plans entirely set in stone, but a general idea or theme is a great starting point. National parks road trips are fun and a great way to experience America's Best Idea. Many parks are close together or national parks are often surrounded by national forests and wilderness areas that are ideal for camping. Buy a map of the region that you want to explore and start doing some research on top spots for camping and outdoor recreation. The biggest mistake most road trippers make is trying to drive too far in a short period of time. Map the mileage of your planned route and consider how many days you’ll have on the road. You don’t want to spend the entire time in your car, so plan your route according to the number of miles you are comfortable driving each day. And consider having no travel days, so you can relax at key destinations. You might be missing out on a really cool event or festival if you don’t do a little research before you go. The biggest farmers market in the state could be just a few miles away from your campground, or maybe it is a free entrance day to the national parks. Want to try fishing? Check out dates for license-free fishing or have a look at the lunar calendar before you go. A simple Google search for your destination can turn up a lot of information. Ask your friends and family for travel advice and don’t be afraid to talk to the locals -- ask for insider tips! Driving hundreds of miles each day, filling up gas and buying groceries in a different town each day can be a red flag to your financial institutions. If you aren’t carrying much cash, your debit card will be important and the last thing you want to deal with is having your account frozen with no cash in the middle of nowhere. Yes, it has happened before. A quick phone call to let your bank know that you’ll be traveling will solve any potential problems. The last thing you want to encounter is a broken down car on your camping road trip. Unfortunately, this does happen with even the most well-maintained vehicles, but a basic tune-up is always a good idea before you go for an extended drive. Have the oil and filters changed and do a basic service on your vehicle before you hit the road. You don’t need a lot of things to have a good road trip. Bring your basic camping gear and a few extras to have a good time, but if you over pack your car not only are you weighing it down, which burns gasoline, but finding the Frisbee or cook stove in a full packed car can be difficult and frustrating. Remember that things don’t make a trip great, experiences do. Make sure you have the correct maps before you hit the road and make sure your planned routes are free of major construction or closures. Though many cars and smartphones have GPS mapping systems, it helps to see the big picture on a real map. If you are traveling to an area that has a tourism industry, you most likely can get a guidebook to the area, which will recommend sights to see and activities to do, as well as offer regional history, flora, and fauna. If you can’t find a guidebook before you go, stop in at visitor’s centers or regional offices to get free information on area attractions. If you have a detailed route, you might want to consider booking campsites before you go. Knowing that you have a place to go each night helps ease the stress of traveling. No one wants to drive in circles until midnight trying to find that one last camp spot open. This is especially helpful during busy summer months and holidays. But reserving campsites ahead of time doesn’t allow for much flexibility. Depending on your travel style and the time of year, you may be able to drive up and find a campsite as needed or if you have a smartphone, many camping apps help you find and reserve a campsite even on the same day as you drive to the destination. Rather than stocking up with two weeks' worth of food before you go, pack only the essentials for your camping kitchen. You’ll want to have pantry items like oil, spices, coffee and dry goods on hand. For fresh ingredients, shop at local stores and farmer’s markets. One of the best parts of traveling is the regional cuisine and seasonal food that you may not have available where you live. Shopping local also supports the communities in the towns that you visit. Some areas rely on tourism for their local economy.